← Somerzest Festival – a Celebration of regional excellence + more. 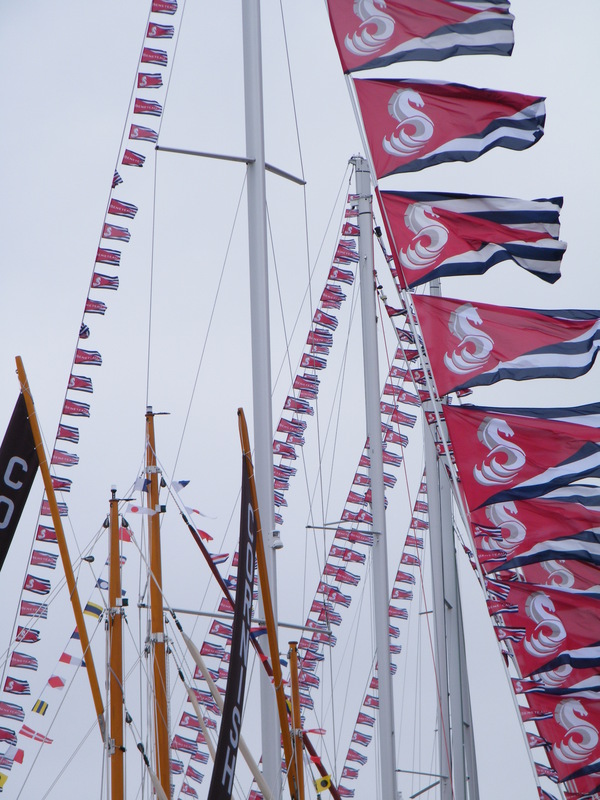 I would probably never have thought about going to the Southampton Boat Show had it not been for the fact that I wanted some more information for my Sunseeker feature article and they had generously sent complimentary tickets. 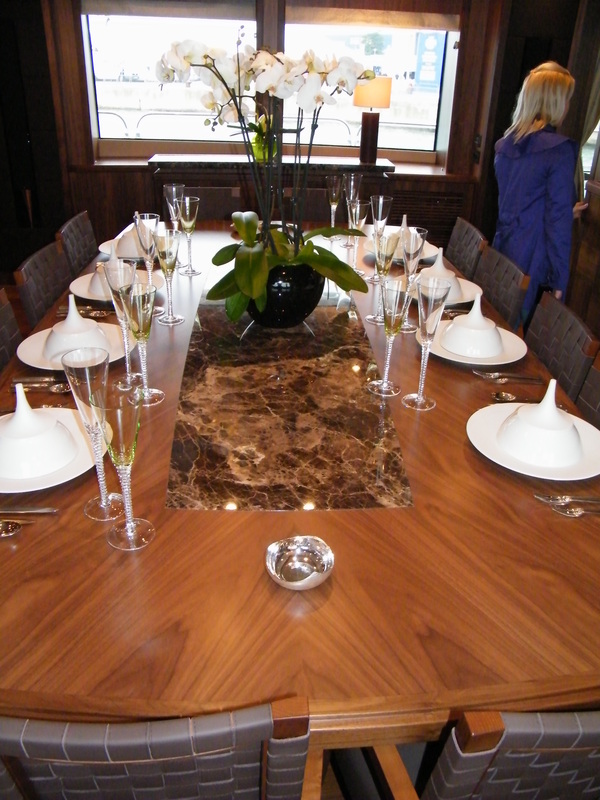 There was also the promise of a launch extravaganza to introduce two new Sunseeker boats to the world. So all things considered, it seemed too good an opportunity to miss. It was a grey day but the rain held off. As we approached the show, we could hear the spine tingling drone of a vintage Spitfire overhead and we watched spellbound as it looped the loop, dived and circled. Let the Show begin! And it did. With an 11.30 slot to aim for, we quickly made our way over to the Sunseeker pontoon. There was a great kerfuffle with everyone jostling to get as close as possible to the stern of the new 40 metre Sunseeker yacht. Cameras were poised, men in smart suits posed. Security panicked when a warning went up that the end of the pontoon was getting rather low in the water! Katherine Jenkins appeared on deck to the rapturous applause of the audience and sang a medley of light opera, wartime songs and more recent hits. It was a little breezy and her attire, whilst the epitome of glamour was perhaps not entirely suitable but I have to say, her voice was quite flawless and it was a privilege to see her live performance. 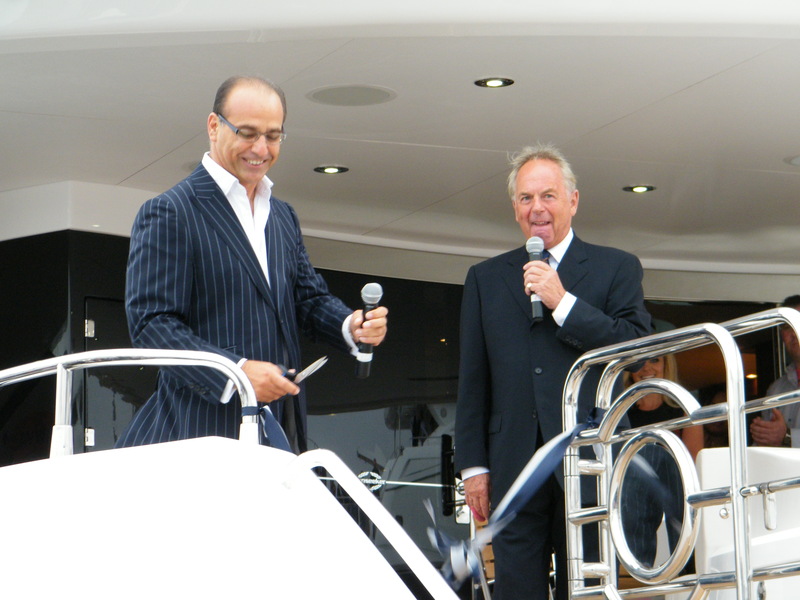 Then there was the official ‘launch’ of the boat with Theo Paphitis of Dragon’s Den fame cutting the ribbon that he did with great ceremony. I was privileged to be given a tour around the yacht by Tour Guide Dave and what he didn’t know about the yacht is not worth knowing. It was spectacular, seamless, sumptuous, somewhat over the top some would say; but that’s enough alliteration to describe the latest addition to Robert Braithwaite’s collection. It is without doubt a ‘celebrity’ boat with every conceivable comfort you can imagine and at an annual running cost in the region of 10% of the value of the boat; you would need celebrity status, or rather wealth, to run it. That’s around £1.5 million if you’re considering it! But it really was the embodiment of luxury and whilst Theo was happy to bestow the virtues of being a Sunseeker owner, as a non millionaire, unless my writing career has a sudden meteoric rise of course, it felt like I was looking at a Picasso or Monet in a museum i.e. extremely desirable but in the knowledge that I would never be able to lay my hands on one, legally, at any rate! So after an exploration around the other boats in the album, I looked further afield to discover the Boat Show is truly not just about the big boys with their big boats; there were kayaks, dinghys, and other such craft and in the corridors between were chandlery stands, clothing and shoes, electronics and survival equipment. There was just about everything you could possibly think about that is associated with water. There was also an entertainment area for the children; a ‘must’ for all such shows nowadays! And with several food and drink kiosks, there was no shortage of tasty snacks to keep you going. (If you want to read my main feature on the incredible success story behind Sunseeker, look out for the Dorset Life in Poole Magazine that comes out next month). 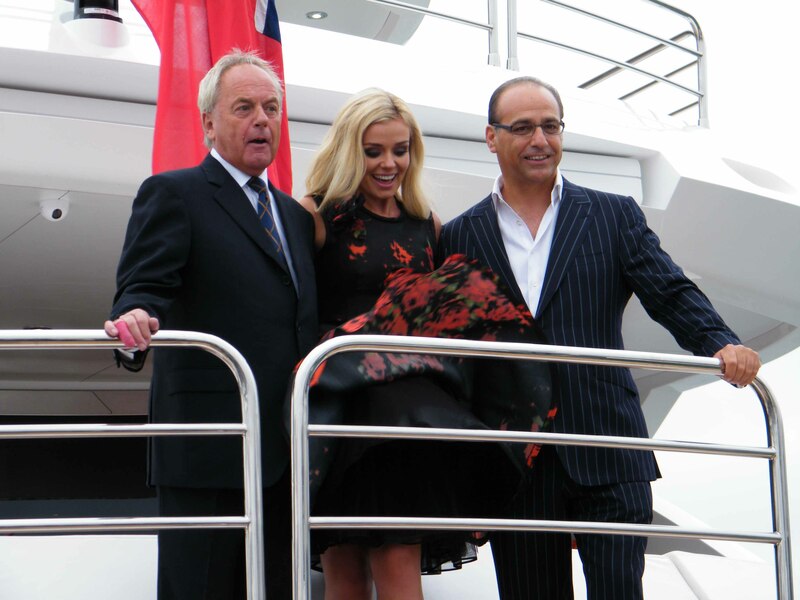 This entry was posted in Special events and tagged Boat Show, Katherine Jenkins, Robert Braithwaite, sailing, Southampton, Sunseeker, Theo Paphitis, yacht. Bookmark the permalink.